How mature is your data strategy? First things first, you have to figure out where you stand right now. 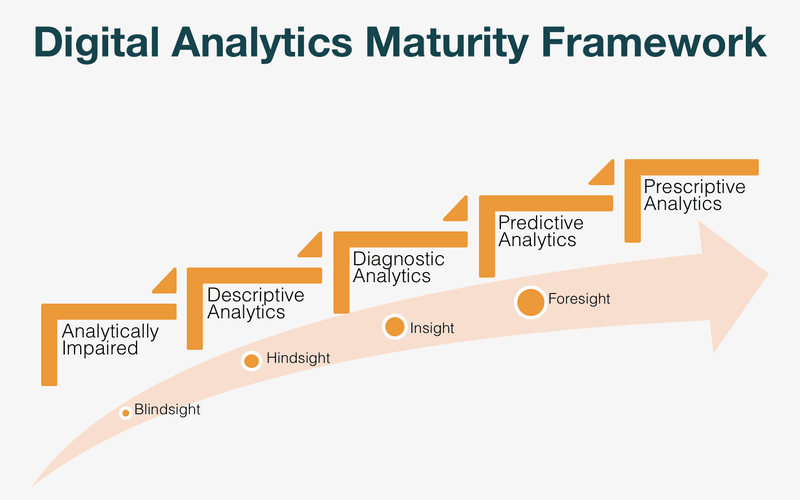 To map this, we use the Digital Analytics Maturity Framework. In 5 steps we make sure we figure out where we stand. Get your vision right, what data would be ideally collected? Is everyone up to date with this vision? What are the possibilities with the data? To accelerate data-driven, you should start with the needs of the client. Your employees need to have the right skills and keep them updated. Connect with the right technology. At this stage, companies may have gathered interesting data, but they don’t actively use it. For example, they receive a monthly report from their agency. We believe that most of the mature companies out there are past this phase. If this sounds familiar, it might be interesting to have a little chat with an expert to gain a quick view of the possibilities. This is where the greatest part of the mature companies are located right now. They know a little about their website, for example, how many visits they have, how much likes they have on Facebook, etc. BUT for example, they don’t have an idea why their website attracts more visitors at a certain time a day or compared to another month. As derivable of the name, companies actively diagnose their data. In the search for why and the explanations, is there a connection between more visibility and more sales? The data strategy is running at high speed in this stadium. Companies can based on their gathered data make predictions on what’s coming. For example, people who visit page x have a 5% possibility to become a customer in the next month. In Belgium, there are almost no companies in this phase. Artificial intelligence and machine learning are well optimized to guide the company to their expected success. How fast can you accelerate? It takes approximately 2 years to accelerate from phase to phase depending on the maturity of your company. It also depends a lot on the directory of the company, if there are a lot of political restrictions etc. At local SME’s it is quite easy to grow fast because they are quite viable. 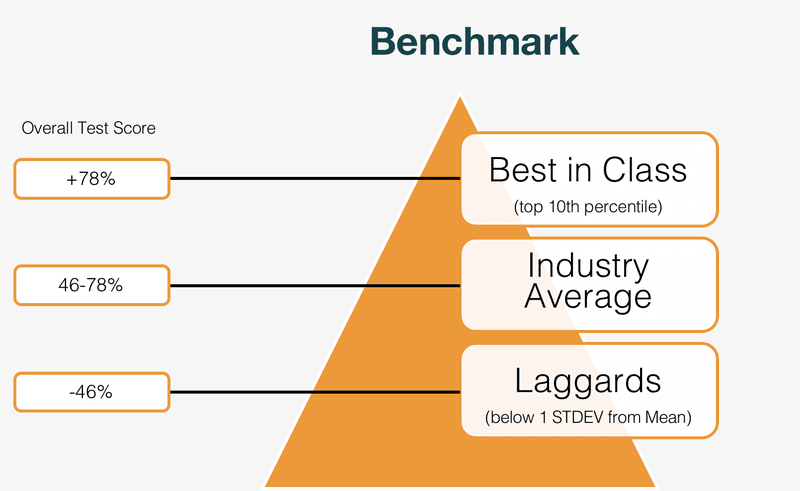 Test your digital maturity here.